I've not been too active lately due to one thing and another, but i just thought i'd keep you all updated on whats been going on in my bike world. Having recently sold the cbf, i've been using the sv more and more, i've come to the conclusion that my knee and back are still not ready for the sports bike riding style. I've made the decision to add renthals to the sv, and whilst i'm add it remove the front fairing and add a brighter light. 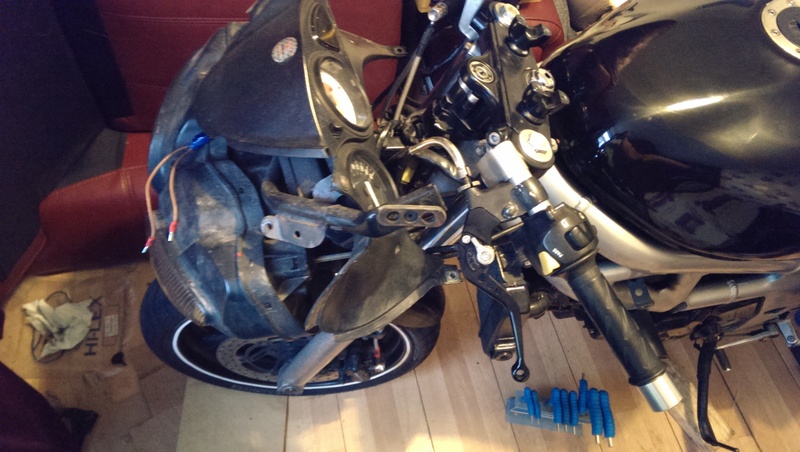 The easiest solution for this is to just replace the loom on my bike, for the loom on a naked sv 650. I'll update this thread as and when i get the time to tinker with it. Looking forward to this. Plenty pics please. 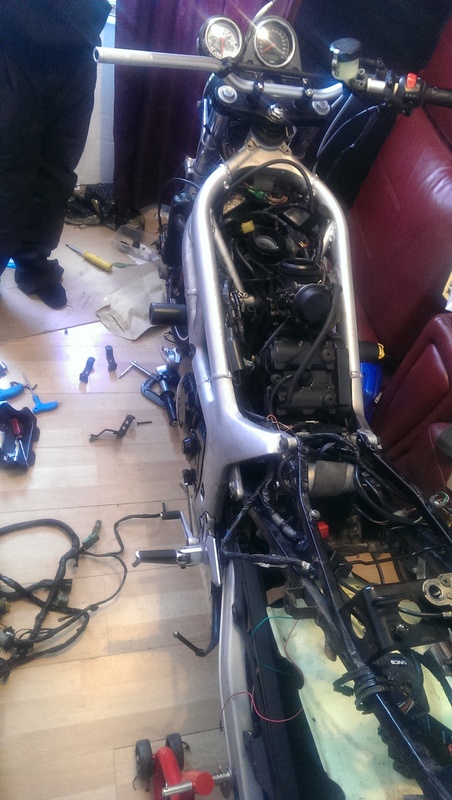 Zippy is selling a naked Sv seen as your a bike short why not have a matching pair?? Pacuk wrote: Zippy is selling a naked Sv seen as your a bike short why not have a matching pair?? I'm lost as to who that is sadly, but have you got any details? 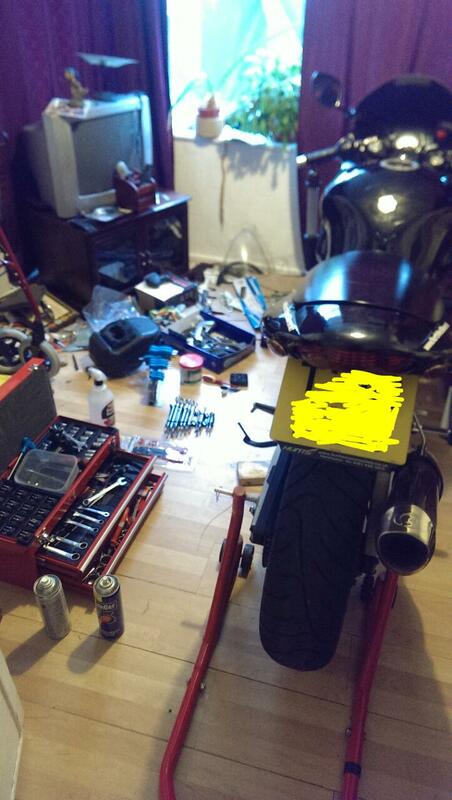 Yes, my 'workshop' is unapologetically messy, i am aware. But i know where everything is at least. Finally made a start on it properly. 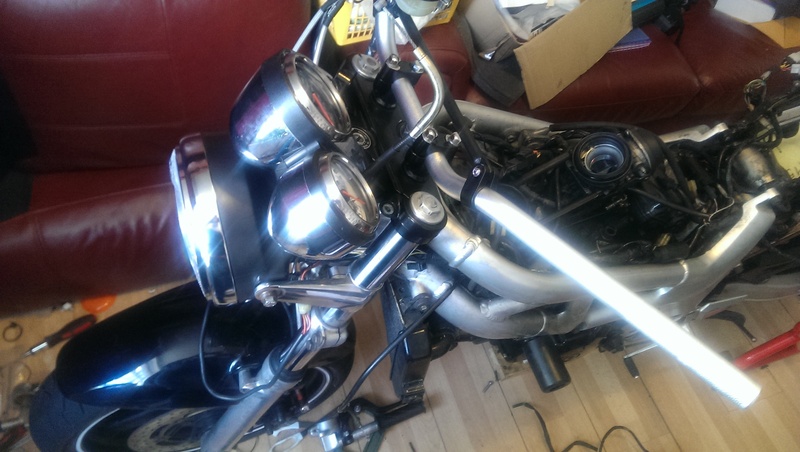 Then, after a few choice hex keys, off came the front fairing. Next came the fun part, after the complete front light/clock unit was taken off, it was a case off changing the loom (which i will admit the missus did as my hands are too big to fit in the gaps*) then testing the bars and home made clock mounts.